Visit the magical world of Plitvice Lakes, sixteen emerald-green lakes with crystal clear water and countless waterfalls. Unsustainable nature, mountain woods and pure air await you. 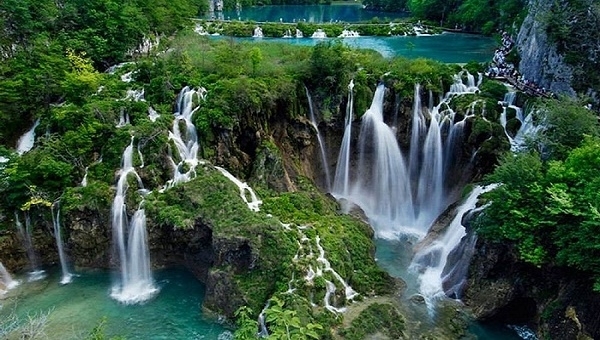 The first and for many of the most beautiful national parks in Croatia is on the UNESCO World Heritage List. A one-day excursion starts in the early morning hours from Umag, Novigrad, Porec in comfortable tourist buses, while return is scheduled in the evening. Departure from Umag, Novigrad, Poreč via the Učka tunnel and the Rijeka Bypass to the Bakar Gulf and the continuation towards Lika. Driving serpents to Vratnik (700m above sea level), continuation through Lika and Otočac. Arrival at the National Park Plitvice and sightseeing accompanied by a guided tour Plitvice Lakes, late lunch, ca. 15.00h in self-service restaurant on the way to Istria Return to Istria in the evening.